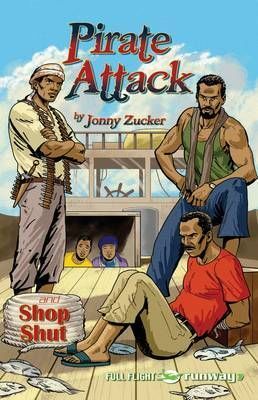 Includes 2 stories by Jonny Zucker: PIRATE ATTACK. Yasin and Mariam are helping their dad on his fishing boat when suddenly the boat is taken by pirates! SHOP SHUNT. Jenni and her dad have moved to the UK from Poland. Jenni's dad finds it hard to attract customers to his shop, until one day Jenni has a plan.